Chicago lawyer and marathon runner, Sarah Ames. If you were to watch marathon runner and Chicago lawyer, Sarah Ames, this month, you would catch a glimpse of her on each of the seven continents. Starting from Antarctica on January 23, and ending in Sydney (with stops in Punta Arenas, Chile, Miami, Madrid, Marrakech, and Dubai in between), Sarah will be running a marathon daily in the second annual World Marathon Challenge. Along with 14 other international competitors, Sarah will attempt the standard 26.2 race, carefully monitored by running experts, on each continent for seven straight days. “There are really two reasons I am doing this,” Sarah said. “One is the personal challenge. Although I have run on all seven continents four times, I have never done it in seven days and frankly I can’t think of anything that amounted to a physical and mental challenge such as this one. “Secondly, it is an undertaking that will have quite a bit of public exposure and can thus be a great opportunity to raise awareness and funds for Hamlin Fistula, a hospital in Ethiopia, and the medical treatment and care they provide to women that have endured and suffered horrendous injuries giving birth. To maximize the benefit for Hamlin, I will cover all of the costs of participating in the World Marathon Challenge so that all monies raised will benefit Hamlin Fistula. 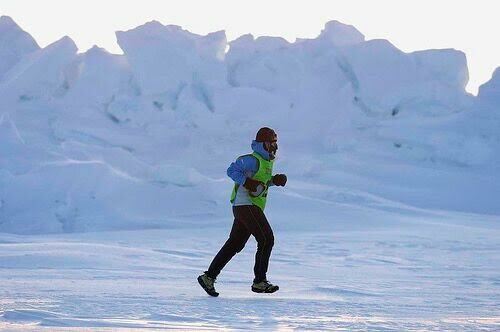 Sarah Ames running in the World Marathon Challenge at the North Pole, 2008. She finished the Antarctica Ice Marathon in 2014 and ran at the North Pole in 2008, so she is well aware of temperature extremes. The terrain is so different in each destination, and often the marathons are completed in marked-off circular courses. Describing herself as elated and encouraged that all the marathoners in the first World Marathon Challenge reached all finish lines, Sarah is reviewing her checklist for the trip. She will pack three pairs of running shoes, one for the slick surface of Antarctica’s Union Glacier. The runners fly on commercial airlines and begin in Antarctica because wind and weather offer the greatest challenges. In the event of a delay, other races can be pushed back. The Heidelberg, Germany native will include her favorite energy bars from her country and many gel blocks, although food for the runners is carefully provided along the way. Sarah, whose pale blue-eyed elegance and serenity bely her athletic intensity, first came to the United States as a high school exchange student in Versailles, Kentucky. Following law studies at the University of Hamburg, she returned to the United States and received another law degree from the University of Alabama. 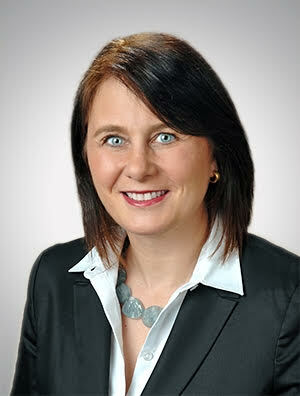 A partner at Quarles & Brady LLP, she represents international companies with U.S. subsidiaries, advising them on corporate, commercial, employment, and immigration matters. Mother and fundraiser extraordinaire, Ginevra Stirling Ranney, with sons Jack and Oliver. In the intensely competitive world of museum fundraising, Ginevra Stirling Ranney sets the pace. One wonders if this is, in part, due to her upbringing in a family that always put philanthropy first, not unlike that of her husband Ben Ranney, son of community change agents Vicky and George Ranney. 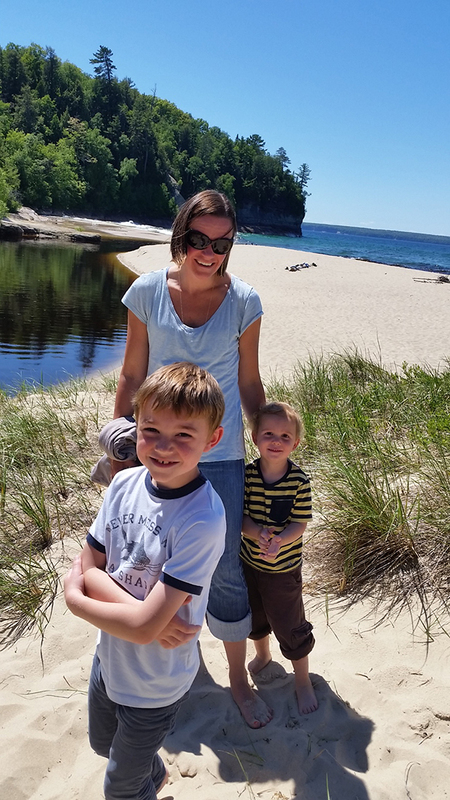 Now Director of Principal Gifts at the Field Museum, Ginevra applies the philosophies she learned from parents Ellen and Jim Stirling while growing up in Lake Forest. With her sisters Leslie and Aleka, she learned about community commitment at the dinner table nightly. “Voluntarism and service are things my parents modeled, and fundraising as a volunteer or career was emphasized as a noble and important endeavor. At a young age I was aware of and admired what a committed group of volunteers, supported by a thoughtful, hard-working staff, could accomplish,” Ginevra said. Ginevra is the girl you most admired in high school. She was the one you went to for advice – to help guide you through the many trials and tribulations of being a teenager – but also the one with whom you knew you would have the most fun. People much older describe her as an “old soul,” someone who has friends of all ages and easily makes everyone around her feel appreciated. Fashion icon Ellen Stirling, owner of The Lake Forest Shop (founded by her grandmother and, according to the late Bill Blass, one of the chief reasons that Lake Forest women are among the best dressed in the country), was proud to talk recently about her daughter’s vision and determination. “From an early age she has always been curious about other people especially those less fortunate than she. Spending her early years in England she was exposed to all segments of society. When she was 14, and Russia was still communist, she spent a summer working in a camp for Russian children near the Black Sea,” Ellen said. “Over the years she listened to her family’s 180 year history in Chicago and their efforts to improve the lives of all its citizens. “If you can’t stand cats, don’t work in the cat shelter. Following your passion matters hugely in fundraising. Donors will see through you if you are not invested in the mission,” she said. “Learn to write flawlessly. Being able to articulate a compelling and thoughtful argument in written form is crucial to fundraising and strong writers are an increasingly rare phenomenon. “Take on extra work, tasks, and opportunities early in your career. Relish the invitation to learn and then be a sponge. Going that extra mile and showing what you can do is the single best way to advance your career. Though she is dedicated to her work at The Field Museum, family comes first for Ginevra and Ben. “When I am not at the Museum, I am usually trying to keep up with our seven and three-year-old boys, Jack and Oliver. We love venturing outdoors to our local parks and forest preserves, exploring the city together, and spending time with our neighbors, friends, and family. I am part of a local women’s running group that enjoys the paths along the north branch of the Chicago River, a beautiful and peaceful part of our city. These bike and running trail feature native habitats, and connect with the Skokie and North Shore trails, and I could probably run all the way to my parents’ home in Lake Forest given the opportunity. Between her tireless work in helping to further scientific research with a global reach or her time devoted to local causes, Ginevra is a women we cannot help but admire. 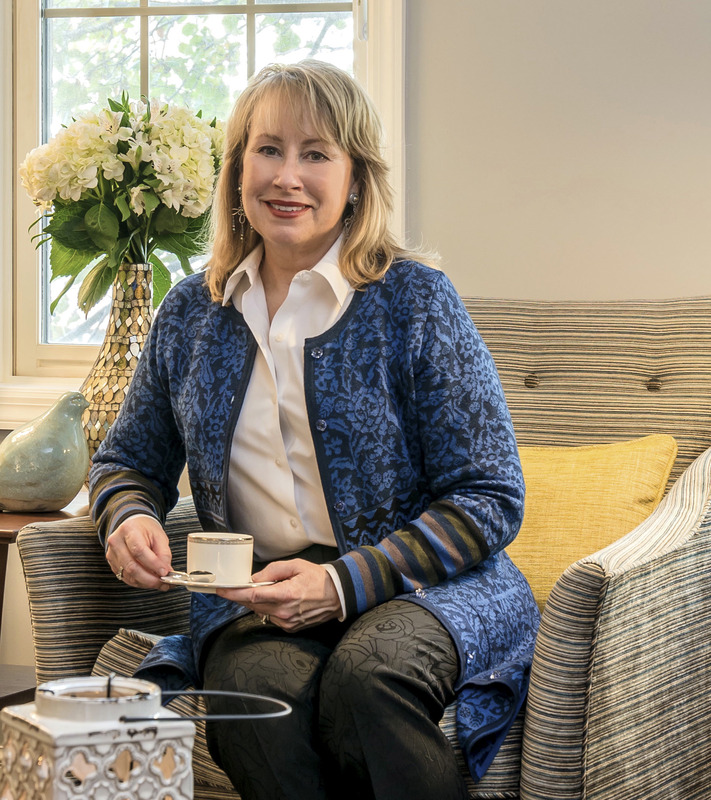 Nancy Snyder, passionate interior designer and volunteer. Reinventing yourself – forging a new career path by choosing to concentrate on your passion – requires a great measure of courage. And Nancy Snyder, who walked away from her role as strategic planner for JP Morgan and its banking predecessors), trading her corporate career for one in interior design is a great example of such bravery. “My friends said, ‘your eyes light up with you talk about your passion for interiors, you should make it your business,’ ” Nancy said. “My sister is an architect, my father built furniture, and my mother is an artist, so in a way I have been surrounded by design all my life.” She is now in her sixth year of Bon Brise Design, Inc., and finds that she uses many of the same problem-solving techniques from her banking days. The name Bon Brise speaks to another great passion of hers. 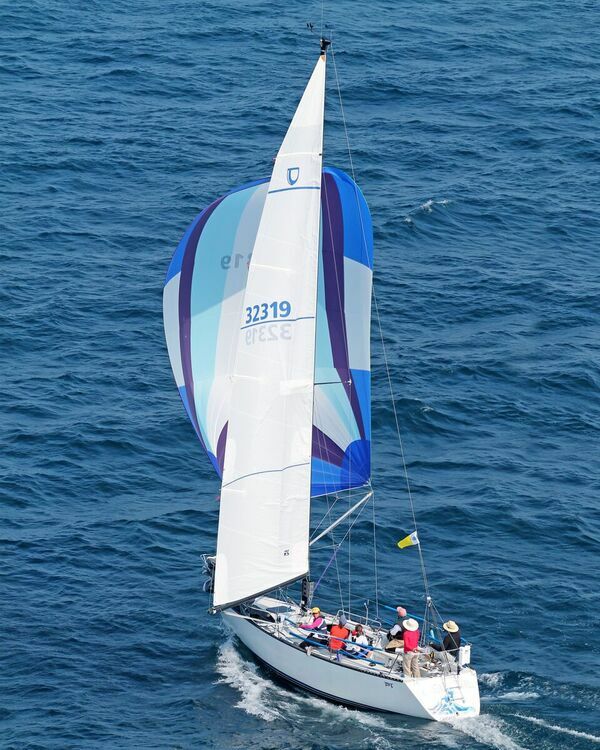 An every-summer-weekend sailor with her husband Tim, Nancy took the company name from the fresh breezes they encounter on Lake Michigan. Nancy Snyder aboard “Cheap Thrill,” during the Chicago Yacht Club Race to Mackinac, the oldest annual freshwater distance race in the world. Nancy’s own volunteer experience – she is a past president of the Junior League of Chicago and board member of several of Chicago’s most significant social service organizations, such as the Hull House – has taken her across Chicago, with inner city children being a main focus. One of her proudest endeavors is with the Next Step College Readiness Program of the Chicago Child Care Society, which encourages teenagers, those who are pregnant or are already parents, to graduate from high school and college. Founded during Nancy’s tenure at the Junior League of Chicago, with the help of community activists Judy Block, Deborah Shannon, and Regina Wooton, Next Step relies heavily on mentors who assist with college applications, financial aid research, budgeting, and ultimately self-sufficiency. Mentors and staff can point to so many success stories through their time with the program. “For those of us who work at home, it is crucial to have an office space which enables us to be our best selves,” Nancy said. “Hang some new art work, think about making a statement by hanging all your travel photos together; things that can bring you a smile while you work. There are many “second acts” to share, but to see how Nancy lives hers is a joy. This entry was posted in Guest Stars on January 10, 2016 by Kay Whitfield.